The moment you’ve been eagerly waiting for has finally arrived—your wedding day! Whether it’s a love marriage or an arranged, let’s admit that while most of the grooms are excited for the big day, a majority of us are also confused and experience crazy butterflies in the stomach. So, amidst the labyrinth of wedding activities and hustle-bustle, it’s only natural to overlook a thing or two. While you battle with this natural feeling, let us take you through a list of 6 essential things that every Indian groom tends to forget on his special day. It is considered to be the most important meal of the day for a reason and skipping it would make you go all catawampus throughout the day. Before starting dressing up or sitting for that lengthy and you-dare-move make up or hair styling session, kindly have a king-sized breakfast. You will function better, and those carbs inside your system will keep your energy levels high. Now this isn’t exactly a college farewell party, so you got to straighten up those loose ends. No matter how expensive your wedding tuxedo or blazer is, a badly-done tie would not only make you look shabby but will also kill the feel of the wedding outfit. Do not forget the bow-tie. It’s tiny, and people tend to walk out for the big day without wearing it, only to realise that they look like the steward’s younger brother. Always remember that your groom’s sherwani comes with a dupatta and a pair of traditional mojdi. Are you wondering why you feel lighter all of a sudden? That’s because that wedding safa is still lying on that dressing table—never forget that! 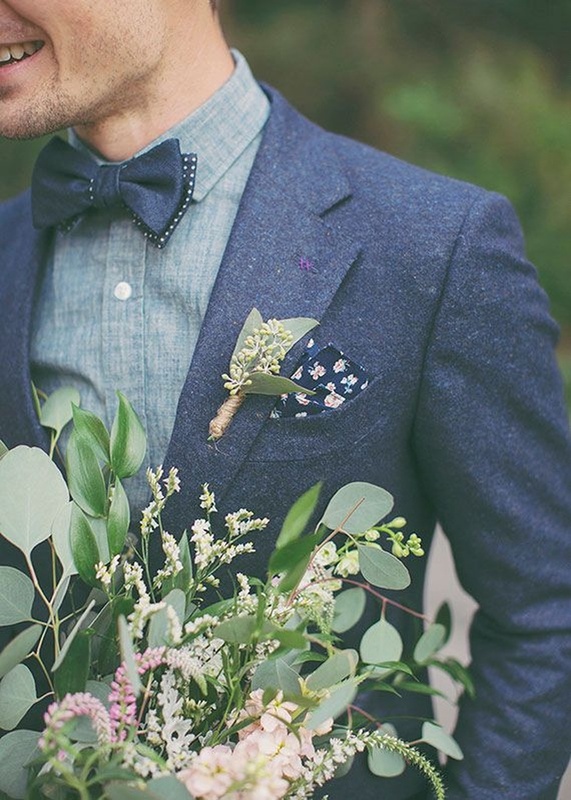 This goes without saying that the groom should look his wedding best and be perfectly groomed. It means—well-trimmed or clean shaved, not looking like a groom from the Neanderthal age! Neatly chipped nails help your sweetheart to not confuse you with the guy that she saw on Aahat last night. And shave the chest hair so that it doesn’t sway with the wind, saying howdy to every other person. If you can accommodate a phone in one pocket, you can surely make some room for a wallet in the other. And keep some extra cash in the wallet. You can not only utilise it in case of emergencies, but you won’t be embarrassed once you get your shoe back after the joota-chupai ritual. All the saalis and her friends—here’s your money, no need to bargain! Hell, yeah! And you better don’t forget this! To look good, she has put some serious efforts. Start with a small smile as soon as you see her and when she sits or stands beside you, look her in the eye and give her the compliment that she deserves. In case kissing is on the charts, do use a mouth freshener. After all, you don’t want her to collapse from the smell of the bagels you had for breakfast. Remind her, in the fondest way possible, why she is marrying you! Have a Plan-B for your wedding dress in case it gets ruined. Thank all the family members, relatives, wedding guests and the attendees who made the day possible. Just remember to have fun and not stress or worry about anything that you skipped. And last but not the least, forget everything, just don’t forget your pants. So, all the brides out there do let us know if something is missing from the list because men will be men—and we have a tough time remembering everything!